Save money on your parts here in the GreenHulk Store! Thread: Save money on your parts here in the GreenHulk Store! Use the discount code: greenhulk when completing the checkout process here in the forums online store and save 10% off the listed price of most RIVA and R&D products, all WORX Racing parts and all Solas impellers. DashPac Products on sale now at a discounted price in the GreenHulk Store! 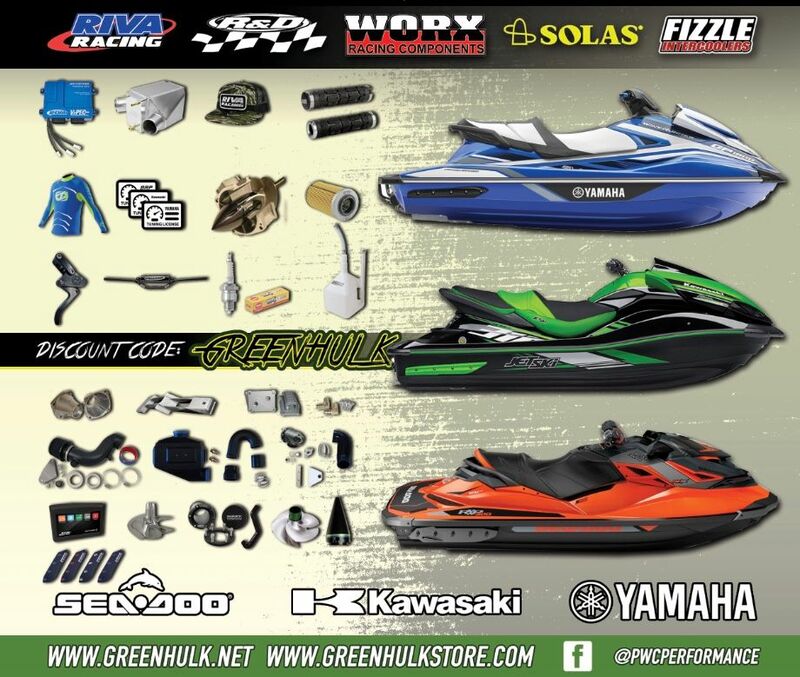 RIVA Sea Doo Spark Staged kits available at discounted prices in the GreenHulk store!